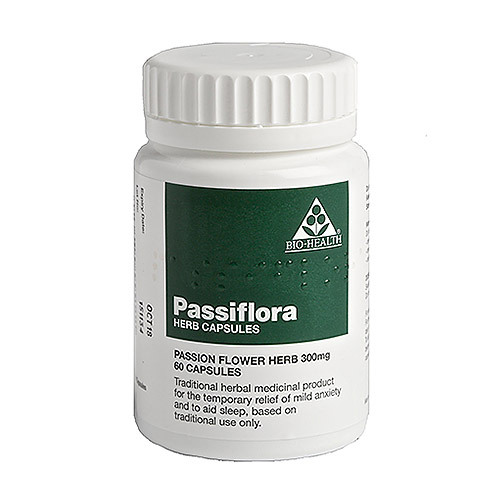 Bio Health Passiflora Herb - Passion Flower Herb is a traditional herbal medicinal product for the temporary relief of symptoms of mild anxiety and to aid sleep, based on traditional use only. For the temporary relief of symptoms of mild anxiety take 1-2 capsules 3 times a day. To aid sleep, take 2 capsules 30 minutes before bedtime with an earlier dose of 2 capsules earlier in the evening if necessary. Swallow the capsules whole with water. Do not chew capsules. Maximum daily dose: 8 single doses. If symptoms persist, worsen or do not improve after 4 weeks during the use of the product, a doctor or a qualified healthcare practitioner should be consulted. Hard Capsules - Can split in half if required. 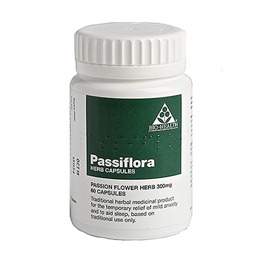 Patients with known hypersensitivity to passion flower, should not take passiflora herb capsules. Do not take this product if you are pregnant, breast feeding or under the age of 18 years old. Below are reviews of Passiflora Herb - Passion Flower - 60 x 300mg Capsules by bodykind customers. If you have tried this product we'd love to hear what you think so please leave a review. Helps to send me off to sleep, very good, i've used this herb for years. Have used this herb for some time now and found it always helps me to relax and sleep when taken about an hour before bedtime.